Hello there, It’s great to see you here! 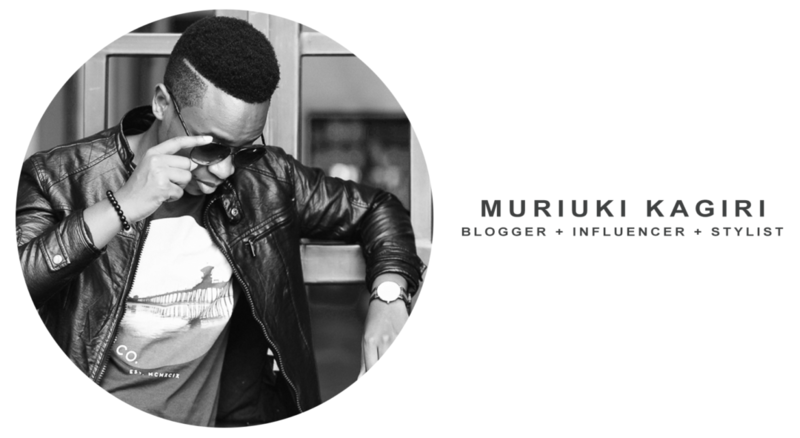 I’m Muriuki Kagiri, Born and raised in Nairobi, Kenya. I am extremely passionate about all things fashion, men’s fashion specifically, and I created this blog in order to share my personal style, knowledge, and opinions with you. I began blogging in mid-2015 as a hobby. At the time, the local fashion blogging scene was saturated with blogs directed to ladies, and I wanted to fill that gap and provide a resource where guys like me could come and get inspiration from. Six months down the line, I won the MIMI Fashion Blogger Contest, out of a whooping 200+ submissions, 98% of which were female blogs. I believe this was God showing me that people actually acknowledge what I do. Having seen the potential in my blog, I decided to grow my brand and actually make a difference in how people perceive Menswear in Kenya. Thank you from the deepest depths of my heart for being part of my story. It doesn’t matter if you’ve been here from the beginning, or just a couple of hours ago, I appreciate you! **Interested in working with me? or just curious on the projects I’ve worked on in the recent past? Drop me a line on my contact page and find out more!